I am well aware that it is only the beginning of November, but Christmas comes early to the Land of Retail. 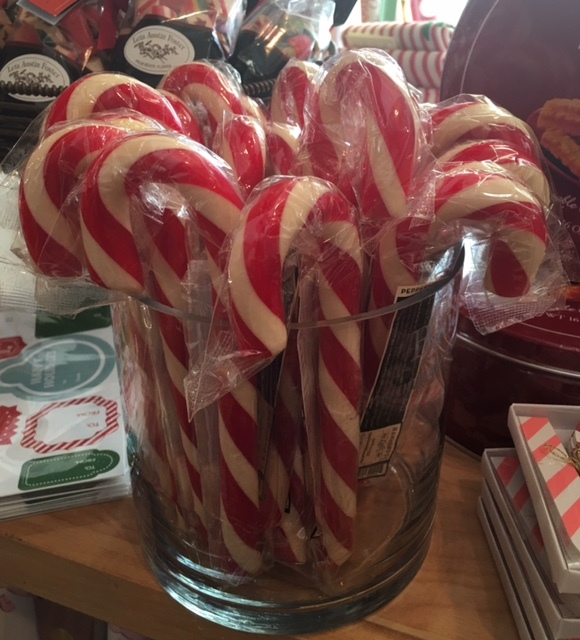 Our shelves are full of delights for the holiday and we wanted to show you what is new. 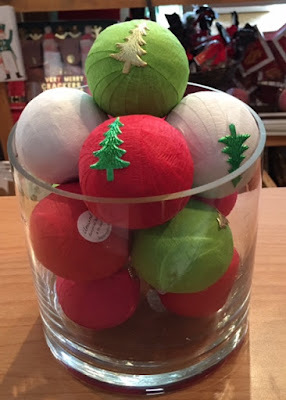 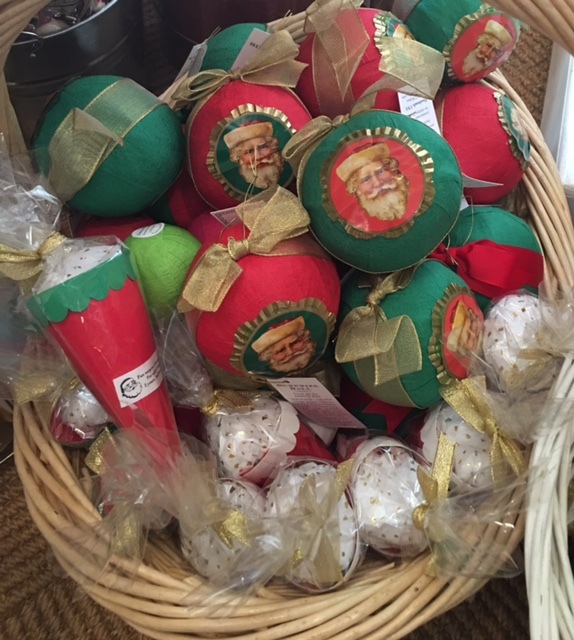 Crackers and Surprise Balls are both very fast sellers for us. 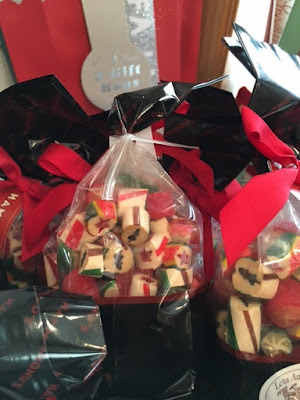 I would like to advise you to call or email your orders as soon as possible so you will not be disappointed. 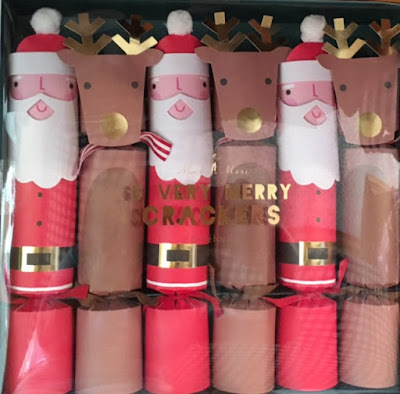 and Zebra crackers.....which also would work for New Year's Eve ! 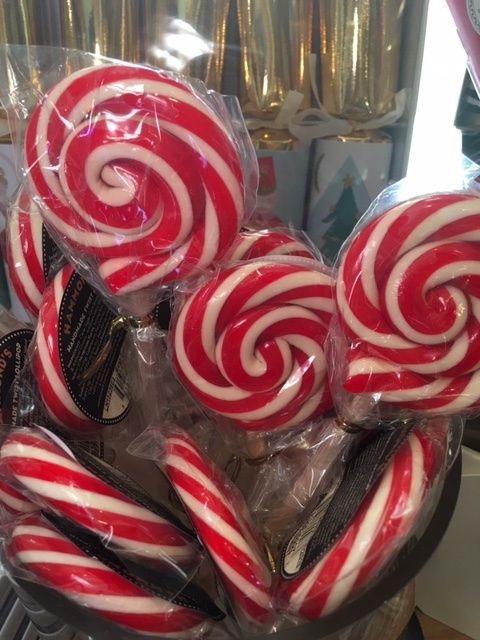 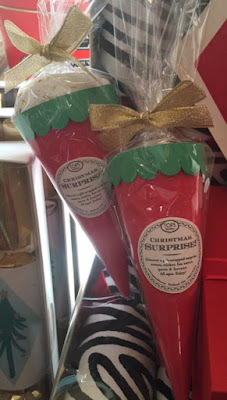 And the ever-popular lollies in traditional red and white or Palm Beach pink and green. 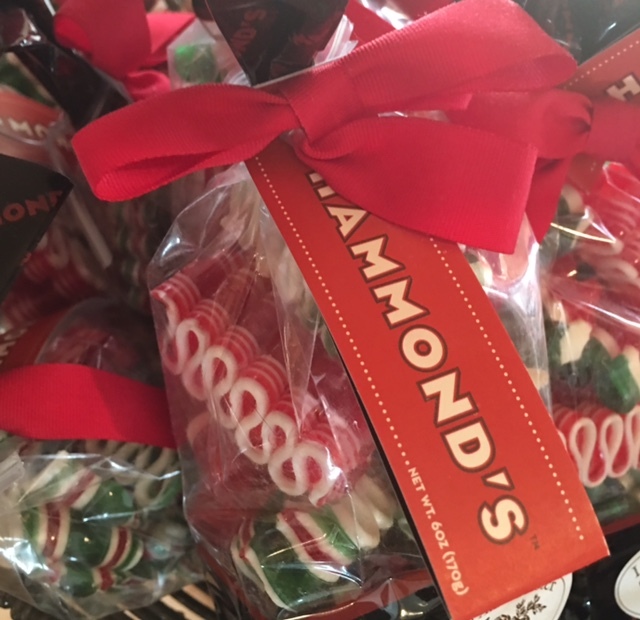 All our hard candies are made by Hammond and spun right here in the U.S., and they are GOOD. 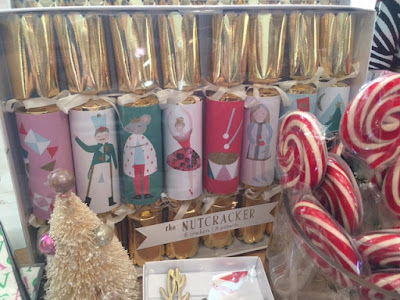 I sampled one (of each).....don't tell ! 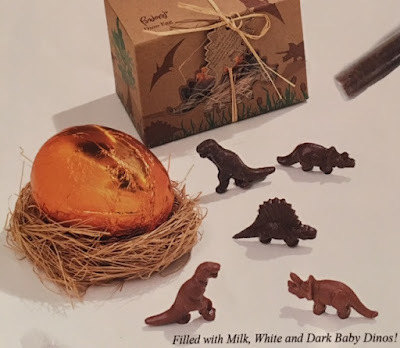 Our chocolate selection includes Milk Chocolate Christmas Trees, little boxes of Nunu's fabulous sea-salt caramels (we stock 3 box sizes for Nunu addicts), Chocolate Dinosaur Eggs which open to reveal mini chocolate dinosaurs, and chocolate cigars, perfect for your favorite guy's stocking ! 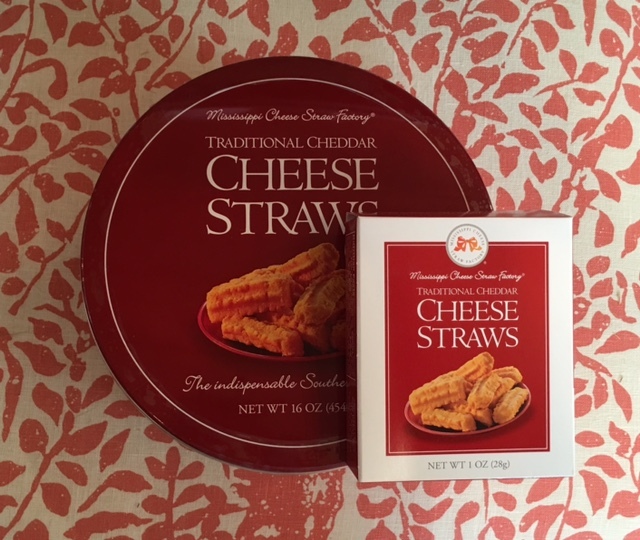 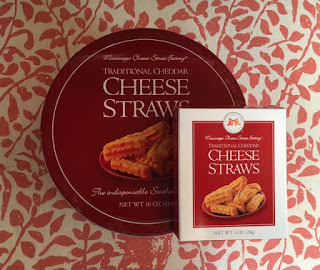 For the savory lover, Cheese Straws (of course) with a bite. You know you have to add an Alligator cookie to those stockings. 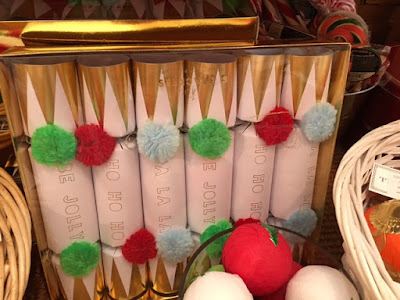 They are especially made for The Boutique by Eleni's of New York. 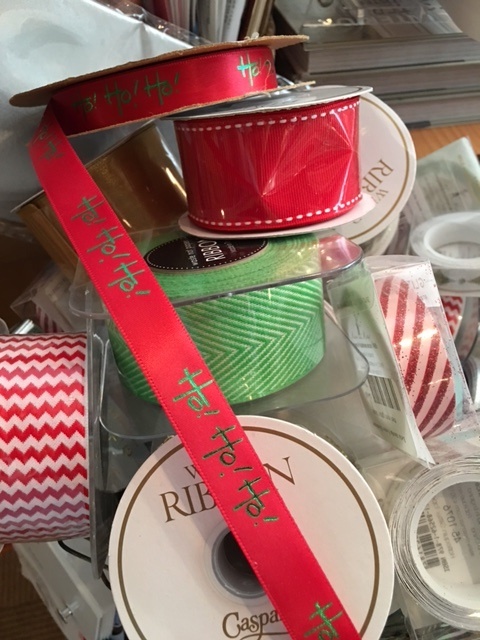 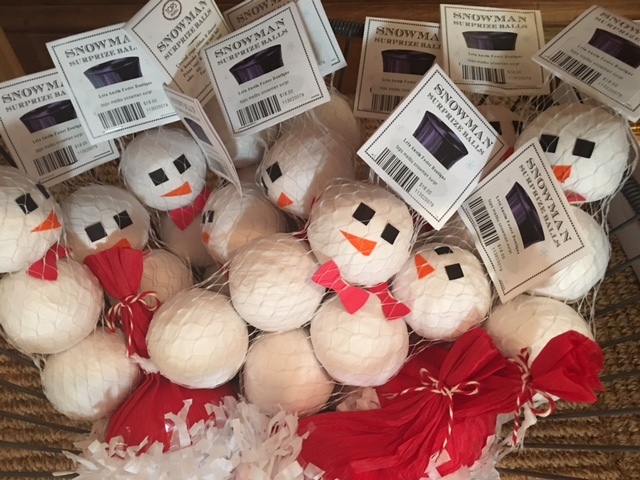 Don't forget to pick up some Christmas wrap, ribbons and tags while you are here. 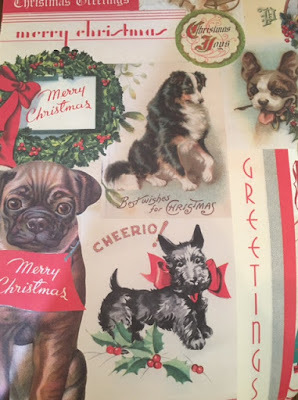 We have single sheets featuring dog breeds and a Parisian Joyeux Noel theme from Cavalini and a variety of unique, Christmas design rolls to choose from. 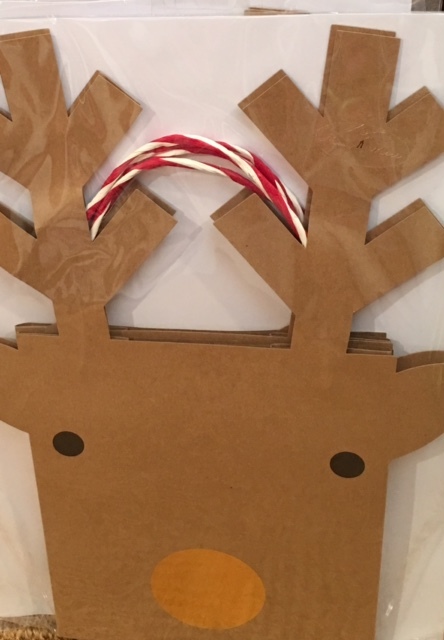 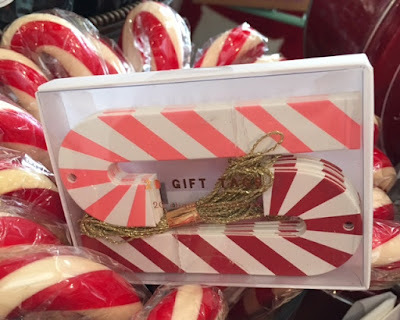 For all those gifts that won't fit in a Christmas stocking, please consider a Reindeer bag with a Candy Cane gift tag. 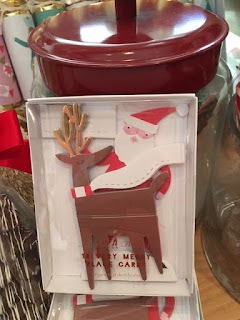 When you sit down to dine, how festive would it be to have a Santa or reindeer place card at each setting? One more suggestion.....for the person on your list that has EVERYTHING.... why not present them with a beautiful glass ornament from Italy. 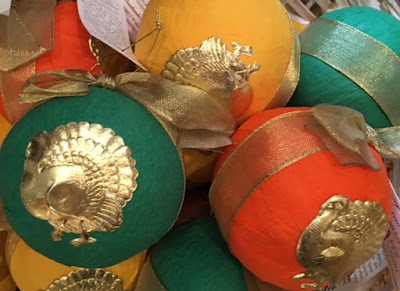 We have found the most beautiful and different ornaments that include flamingos, whales, dancing pigs and elephants. 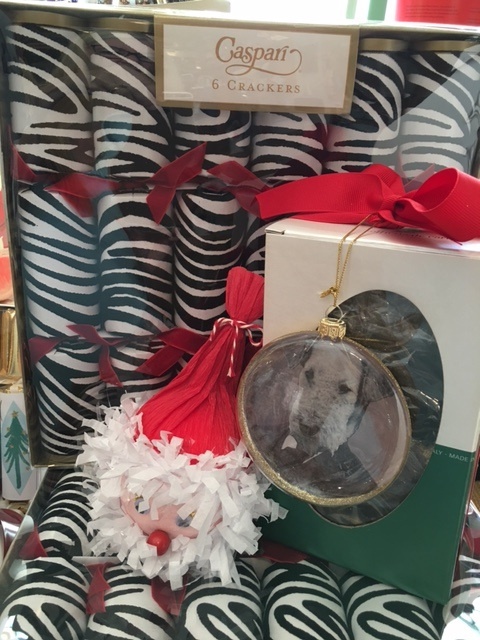 There is also a pirate parrot, Dorothy from the Wizard of Oz....as well as the Wicked Witch on her broom.